One of the best ways that you can monitor the health and efficiency of your fleet is to implement regularly scheduled oil analysis as part of your preventative maintenance schedule. Oil analysis gives you a benchmark of the internal conditions within your equipment that you can then monitor over time to make any necessary adjustments. Oil analysis alerts you to such problems as particle contamination caused by excess moisture, oxidation, corrosion, rust and acid formation, all of which can wreak havoc within your engine. 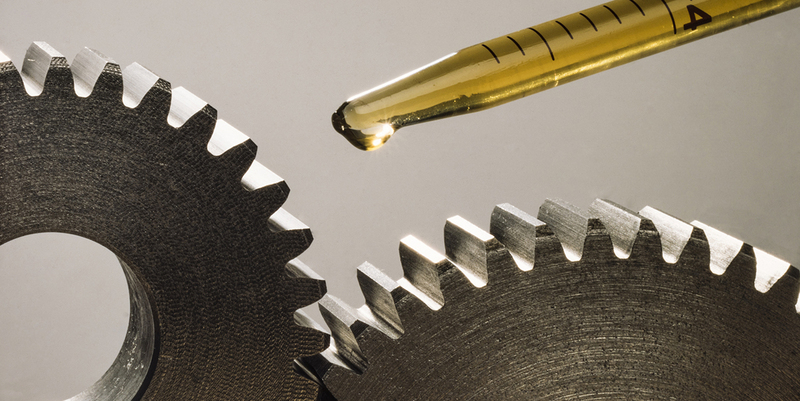 By monitoring and controlling parts per million (ppm) particle contamination in your lubricants and fluids through SCL’s Oil Analysis Program, you can dramatically extend the lifespan of your equipment and save your fleet money by warding off costly repairs, downtime and replacement. If you are going to take the time and invest the money toward implementing oil analysis within your fleet, it’s important that you use the proper techniques for pulling oil samples and sending them off to the lab as quickly as possible. Below we have outlined best practices for pulling an oil sample to ensure maximum test results. Keep it Clean – Always make sure that your sample bottles, containers and equipment are clean and dry before taking a sample. NOTE: Shop rags can deposit fiber and lint, so take care not to contaminate samples by touching rags and cloth to sample openings. Avoid scraping sample tubing along the inside of tanks or reservoirs where contaminants may accumulate as well. Create a Replicable System – Samples should always be taken in an easily repeatable manner and in a way that illustrates the actual condition of your oil and fluids within the equipment. Take samples from a consistent location and under consistent conditions. Setting up an easily replicable system will allow for ongoing consistency and reliability of data. Make Sure Oil is Warm and Fully Mixed – Prior to pulling an oil sample, make sure that the oil is warmed and thoroughly mixed. If the engine has been idle, allow for the cycle function to fully agitate the fluid throughout the system. Avoid Samples After Oil and Filter Changes – Never take oil samples directly following a filter change or after makeup oil has been added. Freshly filtered oil removes valuable information from the system, and adding new oil dilutes the levels of contaminants and wear metals that may be present. This is problematic because it can make conditions appear to be better than they actually are. Never Re-Use Sampling Equipment – Never re-use sample probes or tubing. Always use new sampling implements to avoid cross-contamination. Return Samples to the Lab ASAP – Always return oil samples to the lab via the mail with all appropriate sample form information as quickly as possible to ensure the most accurate results. Purge Waste Oil – When performing an in-line sample, purge waste oil to ensure that a representative sample is being collected. It is recommended that 100ML of waste oil should be purged before a sample is taken. Never Draw Samples From the Bottom of a Reservoir – Samples taken from the bottom of an oil compartment may be full of contaminants that have settled out. Always draw samples from the top of the reservoir and at the same sample depth each time to ensure consistency. Whether you are drawing oil samples from mobile units or stationary equipment, make sure that you are taking samples under normal operating conditions with fluids fully circulated and warmed. Take samples downstream from pumps, cylinders, bearings and gear boxes, and always upstream from the filter. Performing consistent oil analysis over time is the best way to monitor and protect the health of your fleet. If you are utilizing this preventative maintenance tool, it is essential that you follow a protocol of best practices to ensure reliable, consistent and accurate results. Cleanliness is of paramount importance – both with sampling implements and with whatever equipment you are drawing samples from. Developing and maintaining a consistent oil analysis practice will set your fleet up to win over time, giving you the most accurate snapshot and averages of your engine’s internal conditions. Also, it is extremely important to return all samples to the lab as soon as possible. Waiting to send a sample to the lab greatly affects your understanding of your engine conditions, which can be devastating if internal problems go unnoticed or are left unattended. For information on how we can assist your fleet in developing the optimal oil analysis program, contact an SCL consultant today.